international remuneration and cultural awareness. whether into or out of New Zealand. Woburn International is a New Zealand owned company, established in 1991. Our team of trained and experienced professionals provide a personal, expert service you can trust. 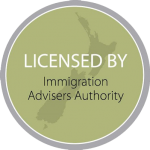 All of our Immigration Advisers are fully licensed by the Immigration Advisers Authority. You can look up each of our advisers’ license information by clicking on the license number provided. In addition, we have 15 experienced relocation consultants throughout New Zealand. Our consultants work with each individual, company or family to help them with all aspects of moving countries. helping you to quickly and effectively settle in your new community. Want to join the team? Embark on the next phase of your career with Woburn International.